National N208-611 Folding Lid Support - Brass (V1890L). Used to support table legs, shelves and chest lids. Prevents a lid from slamming shut. 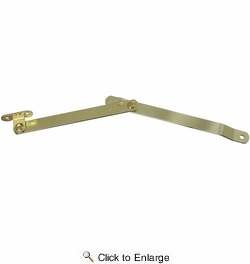 Folding supports come in a brass finish. Includes fasteners. Steel material.